All your old photos in various formats can be remastered in 4K Ultra-HD. as well as HD content from SD cards/memory sticks burned to Blu-ray, disc duplication, package design, etc. Just ask. Colorize black and white photographs, and/or convert any photograph or image* to true stereoscopic 3D, with the same methods used by major studios . Available in every major format such as red/blue anaglyph, 3DTV, 2D animated GIF and more. Please contact for details. * You must own the copyright to any image/video you submit, and inappropriate or illegal content will not be accepted. 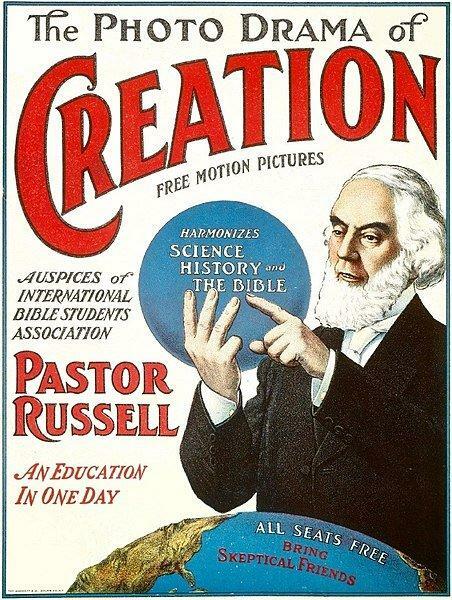 Completed in 1914, when cinema was still in its' infancy, The Photo Drama of Creation was a 4-part epic that told the history of the world and Bible prophecy (as understood by the Bible Students) through hundreds of slides and motion pictures, some of which were colorized or had synchronized sound. Whether you're one of Jehovah's Witnesses or a film buff, you'll be fascinated by this historical treasure. Almost all of the hundreds of slides are sourced from high resolution scans and in HD, as well as the highest quality motion picture sequences. This is the most comprehensive collection of surviving visual materials available anywhere to date, and presented as close as possible to the original viewing order. Besides being comprehensive, what sets this version apart is the concerted effort to introduce NO new or modern elements into the restoration itself, for an authentic experience. This feature-length slide presentation that covers history, science and religion through beautiful imagery and a stirring soundtrack was initially shown at congregations of Jehovah's Witnesses in 1979. It is now in the public domain and has been restored from the original elements in 4K Ultra-HD. This Blu-ray combo pack contains 3 discs. Disc 3: BD-ROM with original 8K scans, digital copies and other archival elements. If you choose the standard DVD, that will be single disc with bonus material. 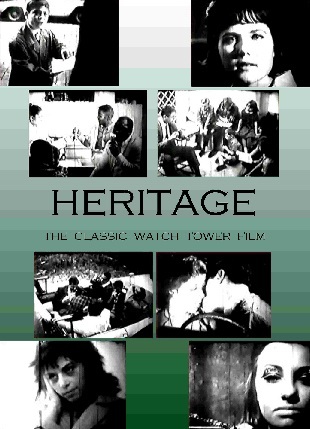 This half-hour film was the last of the Watch Tower Society's films of the 1950's and 1960's . . . but it was also the first with a soundtrack, including narration by brother Glass, and it was seen at meetings, assemblies & on television. 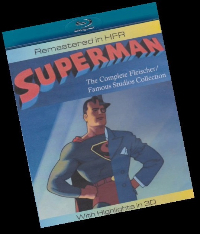 See the original animated Superman shorts as you've never seen them before and available nowhere else: Remastered in stunning HFR (high frame rate). Also includes a bonus highlights reel of the best Superman images converted to true 3D, compatible with both standard HDTVs and 3DTVs.